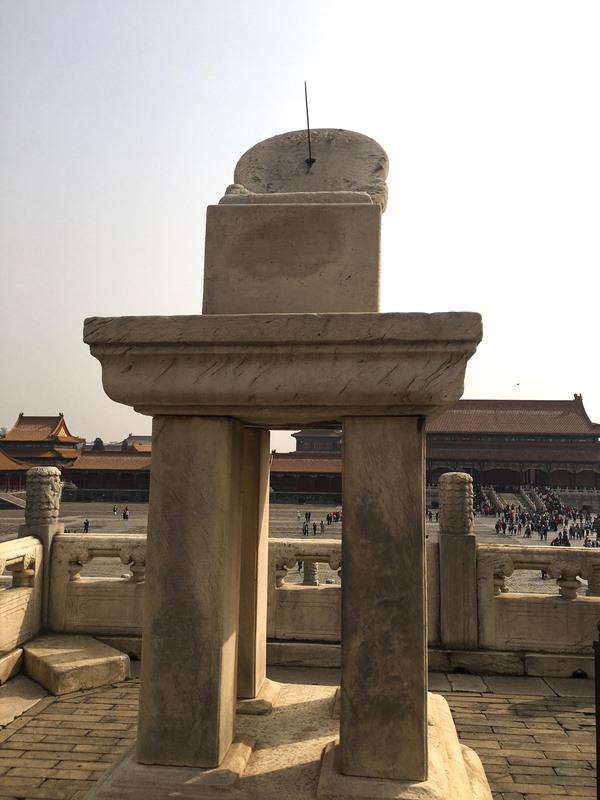 This sun dial was placed right in front of the emperor’s palace, symbolising his supreme power to grant time to all China’s citizens. It tells time by measuring the shadow cast by the metal gnomon on the marble dial. (The gnomon is the metal spike in the photo.) Shadow length varies according to the altitude of the sun, which changes throughout the day. The use of sundials is actually one of the oldest timekeeping methods used worldwide, dating back to 1500BC. Next Post Pandas in Chengdu!